014 Who Spiked The Eggnogg? 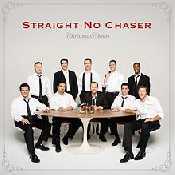 A cappella , Straight No Chaser. 2. "We Three Kings" 3. "Christmastime is Here"
4. "Let It Snow" 5. "Donde Esta Santa Claus"
6. "I'll Be Home For Christmas"
8. "Rudolph the Red-Nosed Reindeer" 9. "You're a Mean One, Mr. Grinch"
11. "Santa Claus Is Back in Town"
12. "God Rest Ye Merry Gentlemen"
14. "Who Spiked The Eggnog?" 15. "The 12 Days of Christmas"